Lately, I have been partaking in what seems to be normal for college girls my age: obsessing a little bit over Disney. While this is viewed acceptable on a college campus (honestly) it is not my typical way. I have always been inspired by book and films, but these entities usually include magic and dragons (much more on that to follow). Self-reflecting, I believe there are two main contributing factors to this latest interest. 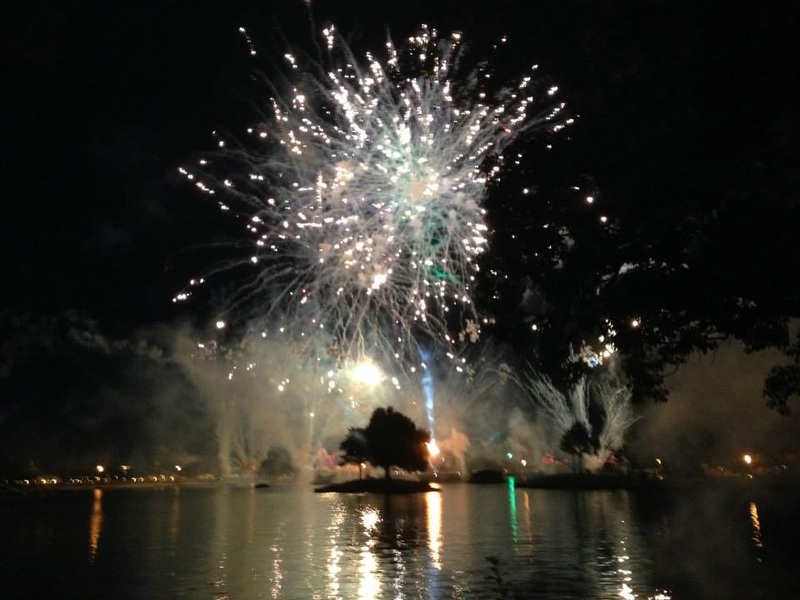 First and most obvious, I was directly inspired this summer after taking a trip to Walt Disney world. 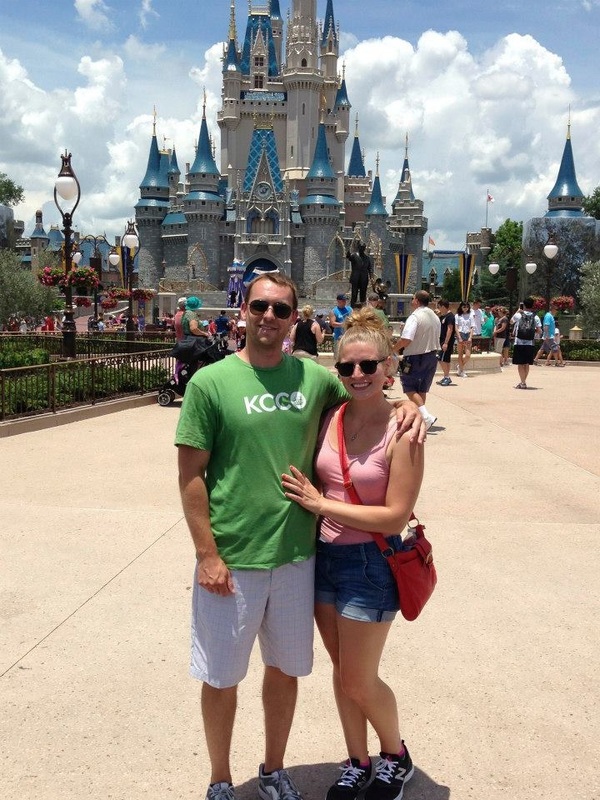 It was an amazing trip and something about Disney World is truly magical. The second reason is a little deeper. Dealing with the stress of grad school, I think that my subconscious is reminiscing about my childhood and trying to revert back to simpler times. Either way, inspiration is inspiration and I will take it no matter what form it comes in! I think most artists and creative people probably feel the same way that I do. So this week, I would like to bring attention to a small-scale sketch that I did recently. After having recently watched Disney’s “Frozen” for the first time (I know, I know), I found myself inspired by the film’s imagery. The animation is undoubtedly incredible and having grown up where I have, I sometimes feel like my town is Arendelle, caught in an eternal winter. A combination of the colors, winter-magic and the fact that people in my life sometimes jokingly call me “ice queen,” something about this film’s creation resonated with me. 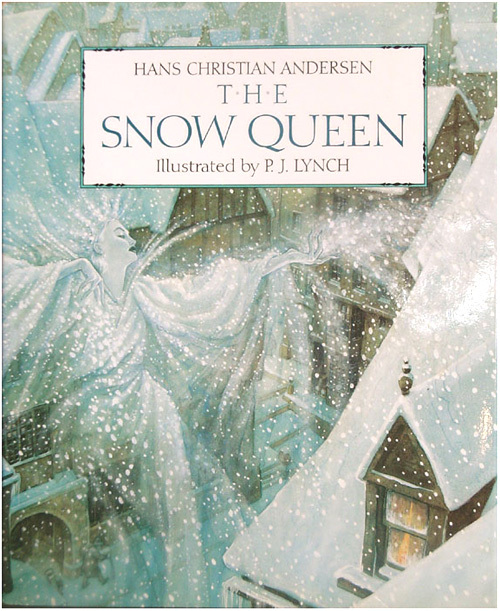 So much in fact, that I actually read Haans Christian Anderson’s “The Snow Queen,” the story which the film is loosely based. 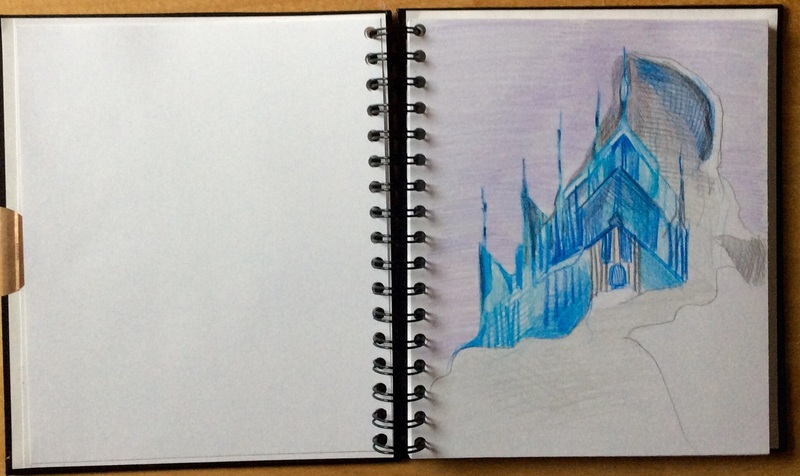 With all of this in mind, I decided to do a small sketch of Elsa’s ice castle (featured above). 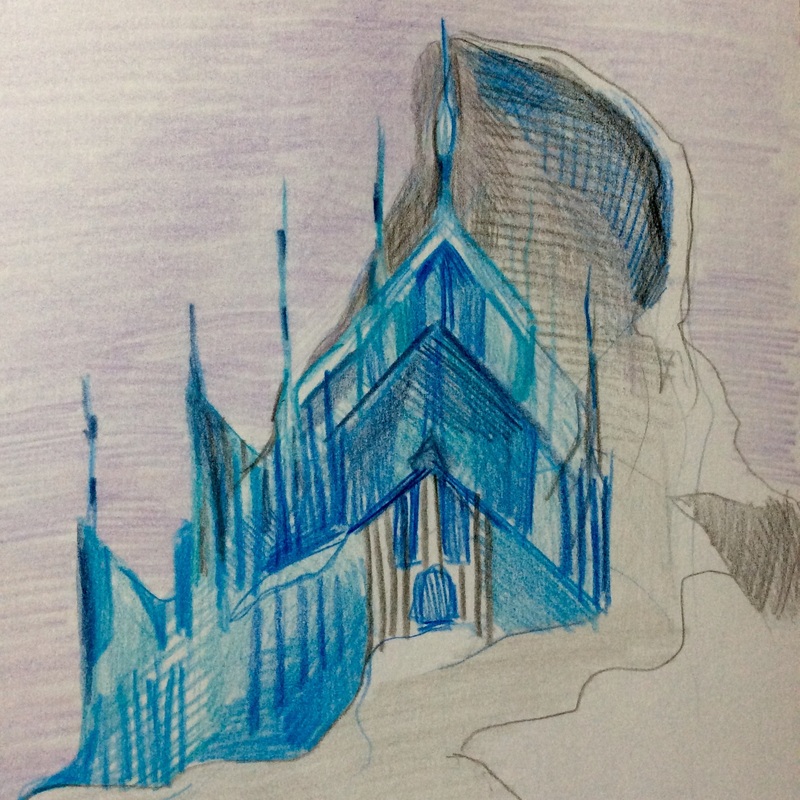 Though I typically do not re-create Disney imagery, the scene where she is constructing the ice castle is probably my favorite animated sequence of all time. Using colored pencils I etched in the outlines and basic structure before layering color. Part way through the sketch, I realized that I was reminded of Oz, another story that I am often inspired by. So yes, I am 21 years old and probably “too old” to be watching animated movies. But honestly, who cares? If something inspires you, latch on to it. And if you’re feeling inspired but don’t know why? FIND OUT WHY! Inspiration is the most fleeting sensation in this world. If you can find it or re-create it, follow it and see where it takes you.